“Chess is everything: art, science, and a sport,” A. Karpov. 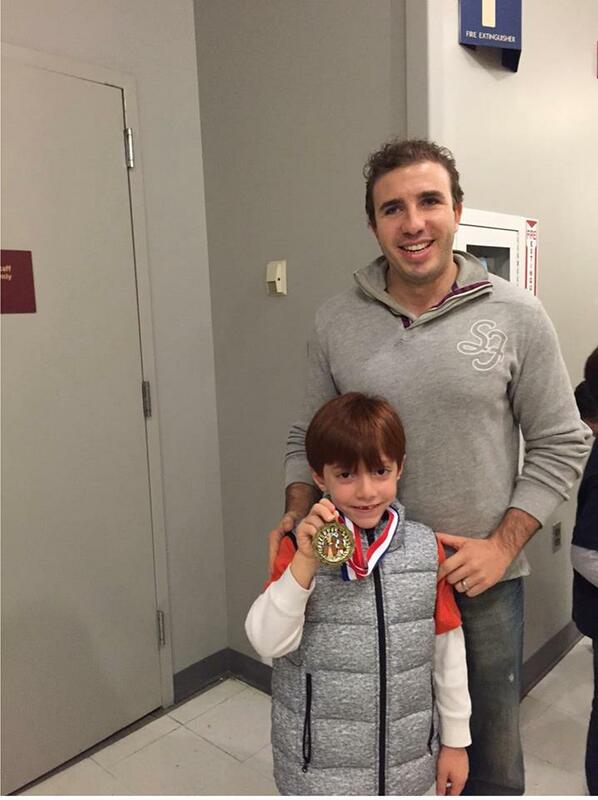 2016 Chess Tournament – Happy players! 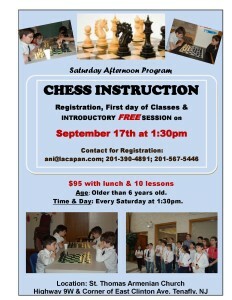 All Armenian children from the Tri-state area can participate in the Chess Club at St. Thomas. Participation and membership are not contingent upon being enrolled at one of the schools or being a member of the church. Chess teaches a critical life skill – strategic thinking – the art of understanding, creating, and choosing among the many options life presents. The Chess Club truly offers a unique opportunity to children in the area to participate in a well-respected sport that is not only one of the most popular in Armenia, it is played in at least 30 countries across the globe. Just like athletics are part of the curriculum in American schools, the sport of Chess has been a part of the regular school day for players in several European countries. It is a sport proven to not only complement a child’s education, as the skills learned from playing chess can improve a child’s test scores in other subject areas they learn by more than 17%! Chess has long been played in Armenia starting in the middle ages. In recent years, the Armenian chess teams have won the European Team Championship, the World Team Championship, and the Chess Olympiad. We are pleased to have Armenian children coming from all over, and is open to accepting even more members to its Chess Club! 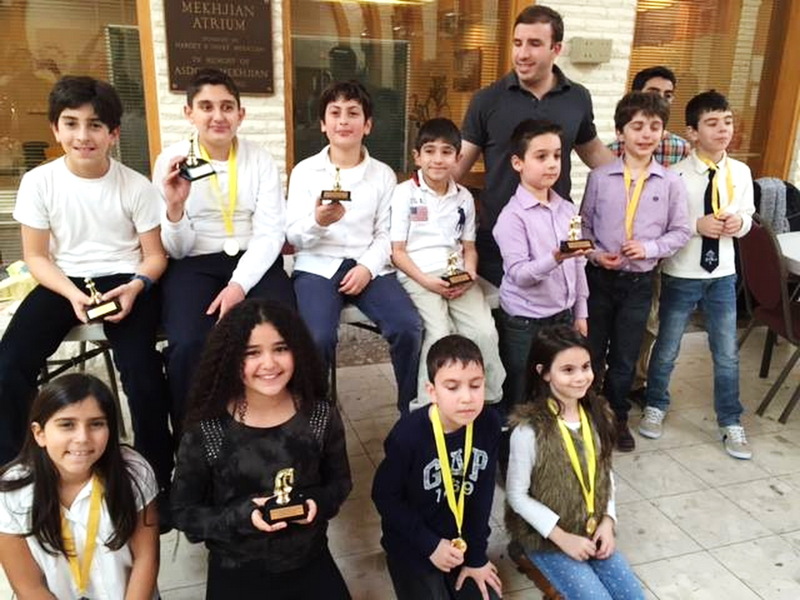 St. Thomas Armenian Church provides chess class as a fun way to engage in strategic thinking. We have a very well-qualified instructor, Sarkis Agopcan, with a strong background in chess. 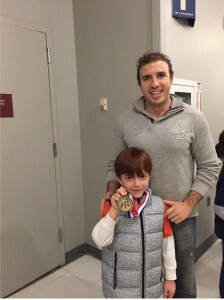 He has been teaching chess to youth, ages 6 and up (including adults), since the beginning of the club in 2013. Our instructor believes that playing chess offers a great learning experience for children and teenagers. As a result of his personal attention and instruction, the team members enthusiastically look forward to a tournament at the end of each set of sessions. 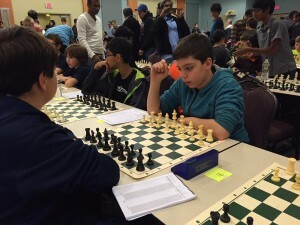 They also participate in the annual NJ State tournaments called the “K-12 Chess Championships,” which is great exposure among students who are chess enthusiasts state-wide. 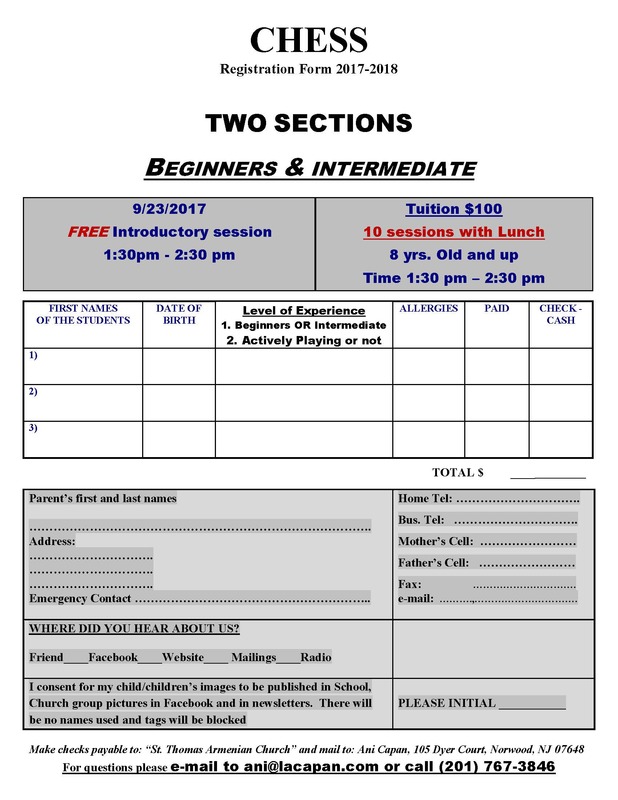 We have two semesters with ten one-hour sessions each, with lunch. The Chess Club meets on Saturdays. Students start with lunch from 1:15 pm – 1:30 pm, followed by their lesson from 1:30 pm – 2:30 pm. St. Thomas Chess Club members participated in NJ State Chess Tournament most recently on March 26, 2016. 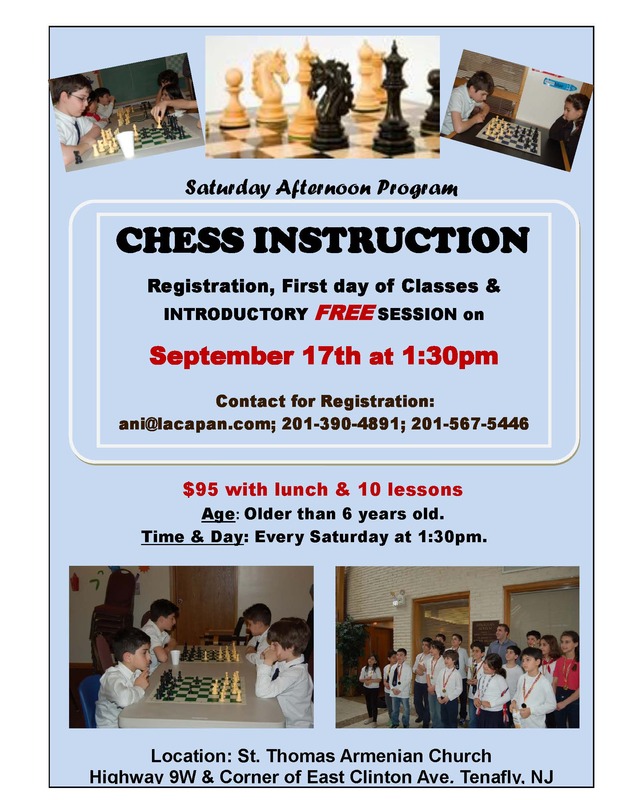 For more information regarding the Chess Club, or to register your child, please contact Mrs. Ani Capan at (201) 390-4891 or by email: ani@lacapan.com.